Africa has got about Billion people in it – most of whom are hungry. We see this a lot in the fact that as a people we still rely on Food Aid. After the war in Uganda – which is when I was born, I remember that for a long time we survived on handouts from World Food Programme. And we were lucky because my parents were teachers and we lived within the confines of the school, so whatever came to the school – we benefitted as a family. I can distinctively remember the tasted of canned beef and the powdered milk. I don’t know if it is because it was a ‘foreign concept’ or if it was just something that I was supposed to remember naturally. A few years older – I used to visit an auntie who made breakfast porridge from sorghum. And I hated it. Because I wanted tea and milk. I come from a culture that loves sorghum – but mainly for its fermented porridge which after a couple of days translates to a local brew that has a very high percentage of alcohol. So for one to serve hot porridge from Sorghum felt like an insult. While I never grew up on ‘cereals : cornflakes and Weetabix – I am almost sure that would have been ‘my preferred’ breakfast. I am one of the many that loves’ foreign things’. I am such a consumerist that I go shopping for food in a super market and not a market. I am one of the many – I speak for many young and old people on the continent. Recently though – I saw the ‘light’. You will find me craving for sweet potatoes and ‘home cooked food’ because as I grow older and wiser – I realize this food is nutritious and non- fattening. And my palette has adapted. Which is why when I heard of ‘Bringing back traditional foods to the table – it made a lot of sense. I met Julius Gatune 3 years ago – and he was preaching this message. It is something that he and the African Center for Economic Transformation are very passionate about. 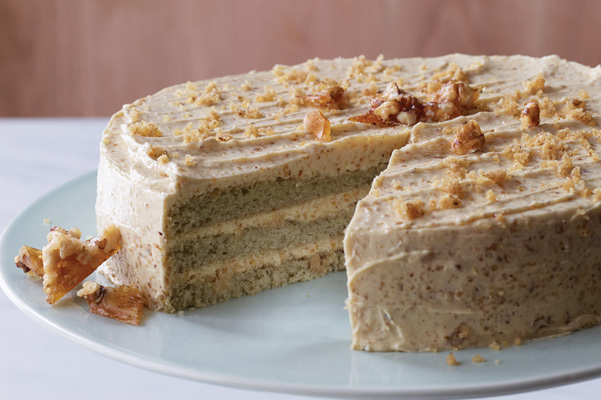 A sorghum layered cake with Walnut butter cream – We need to have products in our homes and in our pastry shops. Traditional cereals especially millets and sorghums have been steadily losing their share of contribution to calories in the region especially to rice and wheat. And this is funny because wheat and rice are not native to Africa so the rise in their share means that we are importing these foods. The main reasons for these foods is low demand of traditional cereals. This means that there is also very little productivity of the same. There is also an ‘ image’ problem and lack of product development to meet new market demands. The grains are largely grown and consumed by poor farmers thus giving it an image of poor man’s food. They also tend to be sold and marketed through traditional markets rather than modern supermarket chains further cementing their poor image. Yet millet and sorghum can rightly be called “silver bullet” crops for Africa. Millet can survive in areas with as little as 300 mm of rainfall (vs. 500–600 mm for maize). Millet is also better adapted than most other crops to dry, infertile soils, to high temperatures, short growing seasons, and acidic soils with poor water-holding capacity. At the same time, millet grains can be stored for over 10 years without significant deterioration. Sorghum does equally well in drought and heat. Sorghum can described as a physiological marvel. It is among the most photo synthetically efficient plants. It has one of the highest dry matter accumulation rates. It is one of the quickest maturing food plants, certain types can mature in as little as 75 days and can provide three harvests a year. It is not only good for food, but also for fodder for animals, production of alcoholic beverages, and biofuels. These are important quality in face of climate change. And yet here we are ignoring them. I remember having a conversation with someone and saying that I want to be able to buy Pumpkin cake and bread – on the local market. We have a lot of pumpkin – but all we ever do is ‘steam’ it and serve it as such. We have a lot of food but are very limited by the way we prepare it. 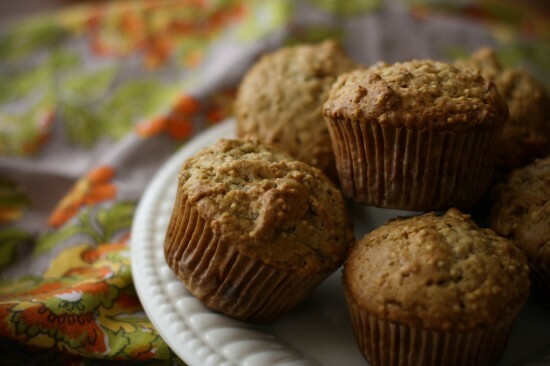 So, is it possible to have pastries made out of sorghum and wheat flour – YES. It is just how creative one can get. I think that parts of West Africa have adopted these methods very well. I am amazed at the many ways one can get to eat cassava and still like it. We need to do that as much as possible. As a matter of fact – I am going to be doing a lot of that baking and cooking this Christmas season. If this is something you are passionate about – You have until 4th December to enter this cooking competition – It is free of charge. Fill out this form and let us get creative about cooking with the right ingredients. Let us all contribute to bringing these super traditional foods back to our dinner tables. Great post! I need to learn more about sorghum.